Joseph Mather was the son of John and Mary (Hoskins) Mather of Chester, Pennsylvania. John Mather was a county justice of the peace, and warden and vestryman of St. Paul’s Church. 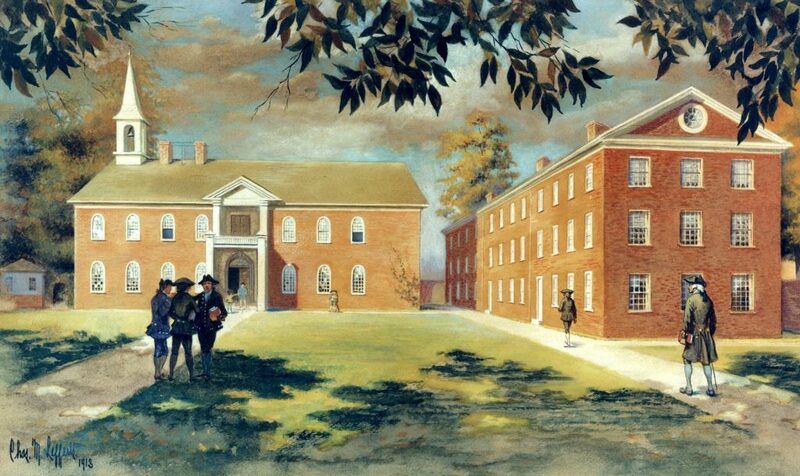 Young Joseph was a student at the Academy of Philadelphia from 1751 to 1754 before entering the College of Philadelphia (now the University of Pennsylvania) on May 25, 1754. He was part of the first class in the College of Philadelphia, but left in 1757, before graduation; A.M. (gratiae causa) 1762. One of his sisters in 1758 married Charles Thomson, recently a Latin tutor at the Academy; another married Paul Jackson, member of the faculty of the Academy and College of Philadelphia from 1752 until 1758. Mather was briefly a school teacher in Cecil County, Maryland. He was soon ordained a Clergyman in the Church of England and served as a missionary in Delaware and Maryland. He was one of the twelve members of the “Young Junto” formed in September of 1758. He died on February 6, 1777 in Chester, Pennsylvania.